The Brasserie - Traditional, warm and rustic, cosy open fires, home from home. Located in two of the four rooms making up the pub. We thoroughly enjoyed our meal, comprehensive menu without being pretentious: well prepared, well presented and, well served. Excellent service always warm and friendly and nothing is too much trouble to them. Food is lovely and well priced. For a nice night out it is well recommended. 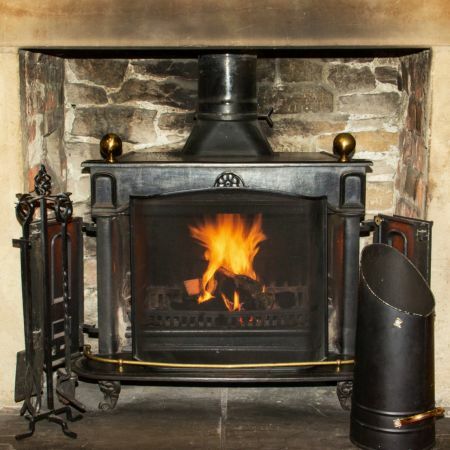 Booked a table for 6 and we had superb food and service in excellent warm surroundings with log burning fires. The one thing you can rely on at the White Hart is the consistency of the food , I hadn't been for a while but I booked because I knew I wouldn't be let down, the go to place for consistent quality. Lovely meal in a lovely setting. Always enjoy it here. Exceptional food, excellent service and such a wonderful cosy atmosphere on a cold winters evening. We have always relied on The White Hart for its good food and warm, welcoming atmosphere. Unfortunately, yesterday we were let down by the service - very junior staff and long waits which we know from previous visits, isn't the norm. We had to remind them that no-one had taken our order for dessert. The restaurant manager was apologetic and extremely helpful. Fabulous evening. Lovely atmosphere. Good quality food. Although we thought the scallop starter was expensive for 2 scallops, and the steaks are expensive. The turnip gratin was delicious but not a gratin! Usually a layered baked dish, it was cubes of turnip in runny cream sauce. We will come back. Friendly service too. Fantastic food and exceptional service. Definitely be going again and recommend!! Was looking forward to revisiting for a birthday lunch with my wife as we got married at the White Hart in 2010. Disappointed , service from the waiting staff was very poor, one of the floor managers pulled it back slightly but customer facing waiting staff obviously need more training and confidence. Even when prompted to provide us with our options as regards a dessert it was ignored, the staff member walked away from the table with no interaction. Real shame considering this place has special memories for us but won’t be returning anytime soon. Front of house staff are letting you down which is a real shame for the head chef and his team. Now looking forward to joining you again this evening. We love the White Hart for the food, the service and the ambiance. One of the meals last night was a little disappointing in terms of portion size. My partner had Sea Bass which was beautifully cooked however a smaller than average fillet size. We didn't feel that the price reflected the size of the meal. Other than that it was all lovely as always. Always a great atmosphere and high quality food served at the Whitehart. Simply love the dining experience here. Lovely Sunday Lunch. Great service and atmosphere.